The former Institute man has been in fine form this season, netting 19 goals in all competitions. McCauley pipped Stephen O’Donnell and last year’s winner, Chris Johns in being named the Player of the Year. Speaking after being announced as the winner, McCauley thanked the fans for their votes and hopes to repay them with silverware in the final two games of the season. “I’m delighted to be announced as the winner as our whole squad have been brilliant all season,” McCauley said. “I would just like to thank everyone who voted and it could have been anyone in our team. 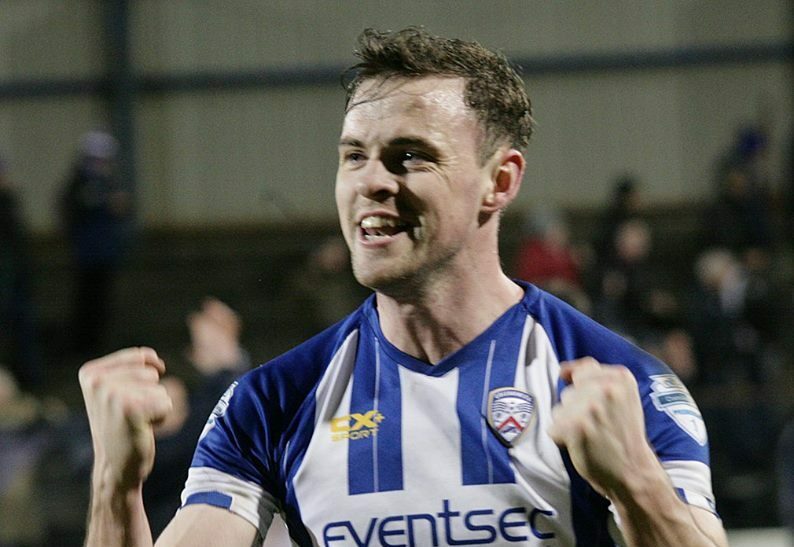 Coleraine FC would like to congratulate Darren for his terrific season and he will be presented with his award before the match against Glenavon.